We are taught, in theory, in lessons of morality, that justice always prevails. We are taught that she/he who upholds concepts such as compassion, integrity and justice will always “win” in the end. (We’re morbidly obsessed with “winning” everything in our winner-take-all, lottery mentality version of a society.) We tell ourselves that we’re good people – despite promoting a system founded on genocide, slavery, war, profiting on pain and misery, etc. – and that the only reason we do bad things is because everyone else does. We convince ourselves that if we don’t do these horrible things someone else will – so “I” might as well get something out of it. Too few of us stop to realize that that is precisely why and how we do these terrible things which prevent us from becoming civilized. We take pride in technological advances, even when we are confronted with evidence that many of them hurt as much as help us – or as is often the case, hurt “others” who also don’t receive the supposed benefits we enjoy. We build conveniences that direct our energies away from things that matter as we get lost in artificial worlds that entice us with beauty and “happiness” while leaving our actual world – a beautiful planet that provides us with everything we need to live – sick, ugly and rampant with unhappiness. We allow ourselves to be divided into ridiculously arbitrary groups based on superficial reasons that, if explained to a child, would make absolutely no sense. We suppress kindness and decency in the name of promoting our despicable system of treating living beings (ourselves included) as commodities. We cause suffering for groups of people who look at life in a slightly different way than we do. Many of us view skin tone as more important than morality or intellect. I feel disgusted just writing that, knowing how painfully true it is. But we “learn” to accept these pathetic ideas and embrace them as truths. Truth, a word with such power, that has been attacked viciously by those who wish to bury it in an unmarked grave, never to be remembered. It used to represent ideals such as freedom, integrity and justice. It was the basis for great concepts that inspired humanity to strive toward new heights. But it now only shows us just how far we’ve fallen as a race. From these words (and other perceptive writings) we have to draw the strength needed to see through the dysfunctional and disingenuous propaganda we continue to be manipulated by. Is it actually that difficult to see most of the truths cleverly buried in the modern myths created by those directing the hateful battle against language we’re living through? Young black men are murdered regularly in our streets – by police officers! Who are the “violent offenders” roaming our streets? People who advocate for taking control of our lives and who support equal education and access to resources are targeted in the streets and, if they are not murdered in cold blood like Fred Hampton and Mark Clark were, are imprisoned on death row, awaiting a violent death. Yet openly racist police officers are acquitted and set free after killing unarmed civilians. Who is terrorizing our cities? Poor children go without adequate nutrition while billions of dollars in taxpayer money are given to obscenely wealthy executives of corporations that contribute to the destruction of the planet. What was that about “welfare queens” being a drag on the economy? It doesn’t take a serious amount of intelligence so pretending truth is a lofty idea only for intellectuals is pathetic. It takes courage. Yes, some people have more courage than others, but we all need to reach inside ourselves to that place where everyone finds their strength and just admit that cowardly hiding from reality is shameful and unacceptable. And we all need to decide what we can do individually, or in groups, to end this suicidal joyride we’re fatally indulging in if we ever expect to take control of our lives (and survive). The power to live together in peace is there for the taking. We just need to find that courage – and take it. We know power will never be given. It never has as far as we know. When will it be time to take back life? When we’re coughing up pieces of lung during a walk outdoors? When we no longer have a forest to enjoy, a river to take a refreshing dip in, an unobstructed view of the stars at night? When we need a passport to go to a neighboring state? When a quarter of the population is in prison for thinking instead of obeying? It’s time to rebuild. We need to learn that power over others is a form of violence, a variation on the concept of slavery. To take away someone’s volition is to prevent them from being a living being. We might as well be rocks if we get to choose what cereal to eat and what toothpaste to use but not be able to decide how to think, what direction we’d like to move in as a society and not be allowed to prioritize in a way that doesn’t do violence to others. Real power is not power over others, but power over ourselves as individuals and as a community. Such crucial insights and eloquently argued. 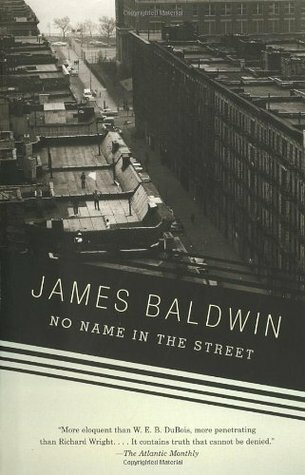 I was reading “Baldwin: Collected Essays” and felt the urge to share what he was saying and to add my sentiments to it. I wish more people knew about James Baldwin. He was an intriguing person and a brilliant writer. Well said, and I cannot disagree with any of it. We obviously have a lot of work to do, specifically with “white” people. So many of them are terrified of losing supremacy. It’s truly heartbreaking to see such fear in adults. It’s clear evidence that being in a position of relative “control” as a group has weakened the minds and fortitude of many of them. I’ll second Ros’ comment – this is a powerful post. Mad mad respect for puttin your whole foot in this James Baldwin piece. I felt it and wrote it. Good looking out. James needs more respect than he gets these days. Few people know how important he was to the struggle. Thanks for giving the brilliant, one-of-a-kind James Baldwin more air time. We need to get more people to read his amazing laser-beam analyses of important issues – despite the fact that most of it was written long ago. A lot it is still relevant. Yes, it’s needed and, yes, we will keep on letting people know.